Jonathan Winters was an American actor and comedian. He is best known for his comedy albums. TV: "It's a Mad, Mad, Mad, Mad World", "The Steve Allen Show", "The Garry Moore Show", "The Smurfs" (voice), "Davis Rules", "Life with Bonnie". He received a Star on the Hollywood Walk of Fame in 1960. He has been a major influence on Jim Carrey and Andy Kaufman. He is regarded as one of the greatest comedians of all time. He was also an accomplished artist and a writer whose book of short stories, Winters’ Tales, made the best seller list. His artwork consisted of silkscreens and sketches. During WWII he served in the Marine Corp. He was nominated for 11 Grammy Awards (1 win), a Golden Globe and 2 Emmy Awards (1 win). He was married once and he had 2 children. He died of natural causes at the age of 87. He had stated that he suffered from nervous breakdowns and bipolar disorder. 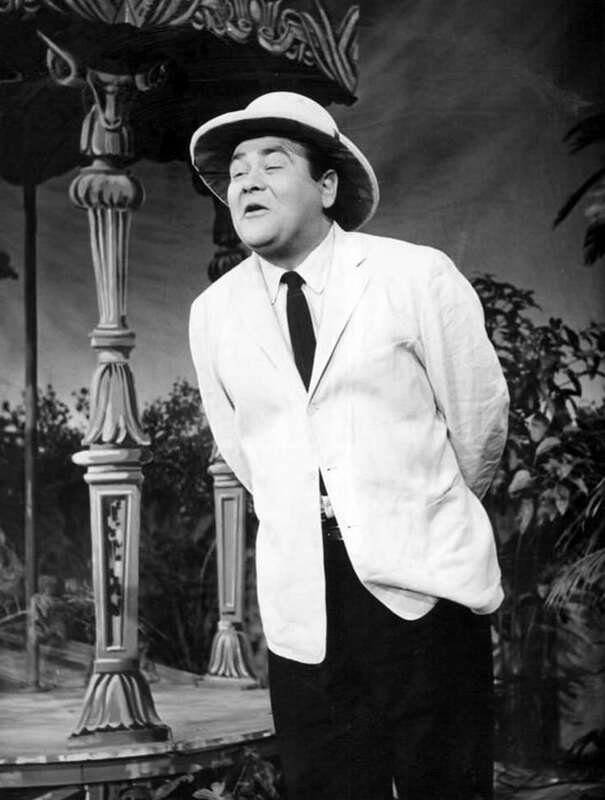 Photo of Jonathan Winters performing one of his routines on the television program NBC Comedy Hour (formerly known as the Colgate Comedy Hour). Jonathan Winters was a famous American actor and comedian, who was born on November 11, 1925. As a person born on this date, Jonathan Winters is listed in our database as the 3rd most popular celebrity for the day (November 11) and the 7th most popular for the year (1925). People born on November 11 fall under the Zodiac sign of Scorpio, the Scorpion. Jonathan Winters is the 98th most popular Scorpio. Aside from information specific to Jonathan Winters' birthday, Jonathan Winters is the 702nd most famous American. In general, Jonathan Winters ranks as the 1189th most popular famous person, and the 253rd most popular actor of all time. “The Famous Birthdays” catalogs over 25,000 famous people, everyone from actors to singers to scientists to serial killers and more. If you're curious to see who was born on your birthday, you can use our database to find out who, what, where, when and why. You can search by birthday, birthplace, claim to fame or any other information by typing in the search box, or simply browse our site by selecting the month, the day, the horoscope, or any other clickable option.